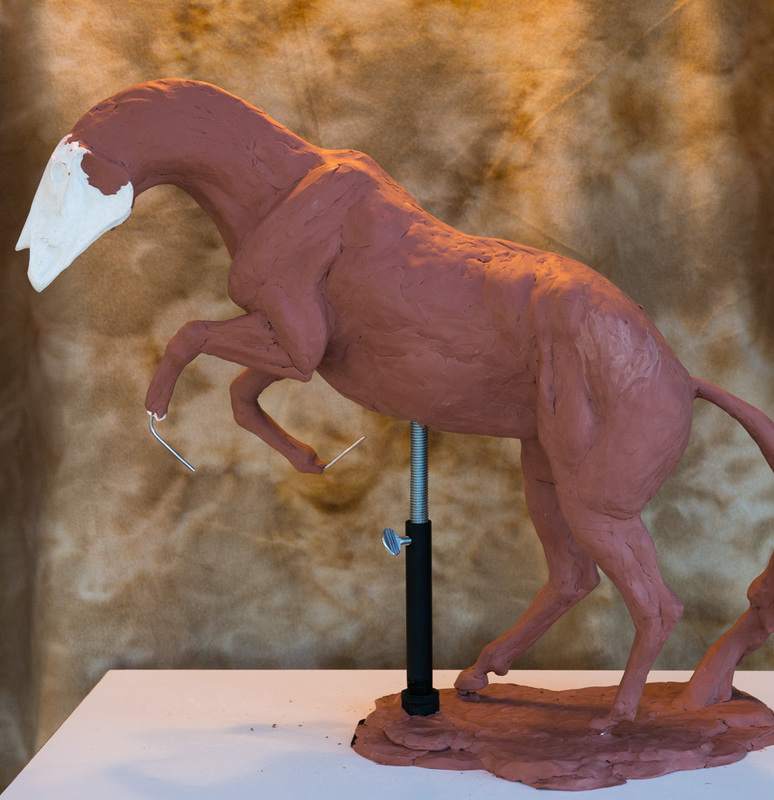 The first clay for the Running Free sculpture is on the armature! It's good to be sculpting again, it's been a while. Here I have bulked out the general shape of the horse. The goal is to define the mass of the major muscle groups, as well as the chest and belly. This will make sure I have the proportions correct. This needs to be done before any detail work so I don't have to rework things over and over. I can also make changes to the pose at this stage without too much trouble. Posing the armature is one thing, but it looks completely different when the skin and muscle are there to show a real silhouette. I have already changed which front leg is leading to make it more accurate.